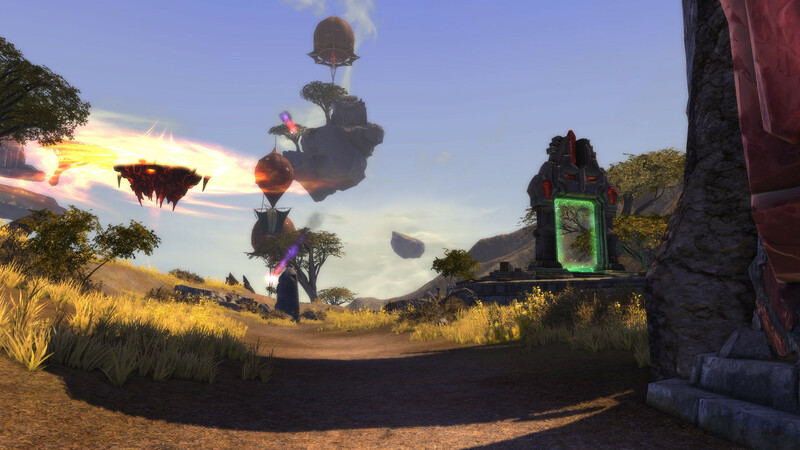 RIFT’s Public Test Shard (‘PTS’) was updated on the 24-25th August 2015 with 1.45GB and 250mb updates respectively. The Planetouched Wilds has been updated, porticulum unlocked and a new Lucky Fortune Bundle, amongst other additions. Interested in full Planetouched Wilds Maps? Check out the associated PTS Datamining article! Patch versions TEST-303-13-A-1031643 & TEST-303-14-A-1032116. Shielding Change. Max absorb capped at 50% of max hp. Planetouched Wilds Updated. Tear down that wall…maybe. And “Teleport to PTW” item. Also, testing begins. Planetouched Wilds Wardrobe. Callweddi Ceremonial outfit and Planetouched Wilds weapon skins now viewable! Achievements Changes. Fortress Defense Legacy; Carnival moved; PTW updated. Other Info. Lucky Fortune Bundle; Character Select Screen Expansion; Quest Log Buttons. As mentioned in previous News Tidbits, there’s a major change to shielding coming to the game that is currently being tested on the PTS. You can read Red Hawk’s full post about the changes here. Shielding will no longer go beyond 50% of max hp, with some exceptions. This is a test and subject to adjustments. If you have any feedback, please post them here. As you can see, Absorb is now capped at 50% of max hp (with some exclusions mentioned above). Tooltips still show all shielding and original values. E.g. Symbol of the Sun with 70k absorb in tooltip, but only counting for ~40k absorb on target. The Planetouched Wilds has been updated. The wall has been moved back ~5m, the zone itself and the zone looks like its been updated to the dev build that Dead Simon showed off in last week’s livestream. The second wall separating the Planetouched Wilds zone and Droughtlands is finally down! Unfortunately, there’s a third, invisible wall just at the red stone-heads. So the wall has been pushed back by about 20m. Trion is such a tease. Luckily, you can see a nice amount of all the changes they’ve made to the entrance, including the new porticulum. New Porticulum and refurbished models! Planetouched Wilds entrance. Left: Starting Quest; Right: Porticulum. The porticulum to the right is called ‘Alliance Camp’, and the first quest is from Uriel Chuluun. If you approach the new wall, it will reveal some of the map near the entrance. Interested in the full map? Check out the PTS Datamining article for the latest updates! There’s now a “Teleport to PTW” item available from Master Mode Dummy Foundry. Unfortunately just like when you try to use the “Alliance Camp” porticulum, you’ll be teleported to Droughtlands if you try to use the item. The teleport item is probably in preparation for open testing of the zone, or can only be used by those whose accounts have been flagged for PTW testing. On that note, testing seems to have begun for a small selection of players. 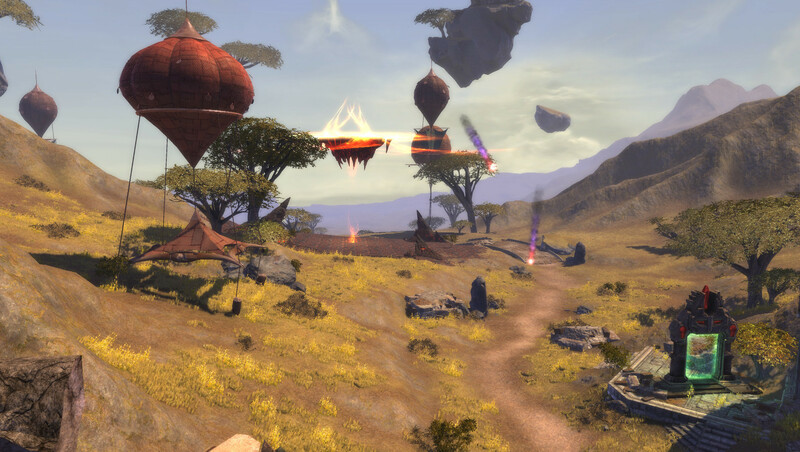 As Trion has mentioned before, the testing will expand over time to encompass all players before 3.4 hits Live. A quick 1-65 search in the Social (default key “o“) -> Search tab shows a few players already have access to the Rhaza’de Canyons dungeon; which is currently not listed on the LFG window. Trion mentioned in last week’s livestream that exact testing dates would be made available this week. Chances are those announcements will be made during Trion’s Party @ PAX Prime between 7-10pm PDT on Friday, August 28th. The wardrobe items from the data files are now up on the PTS for viewing. Just like all the other wardrobe items, you can view them by ticking “Show Uncollected” and searching for them by name from the Character -> Wardrobe. The new Planetouched Wilds weapon skins are up! Just a note that the 1h_sword_312_caster, ranged_rifle_312 and ranged_bow_312 are invisible and one of the shields has a model, but no skin (thus completely black). I’m assuming that’s the one with the two ‘dragon/lizard’ faces with the long tongues shown in the data files. You can view the weapon models for yourself under Character -> Wardrobe on the PTS with “Show Uncollected” ticked and with “_” (without quotation marks). Callweddi Ceremonial Wardrobe set is also available in the armor slots. Simply keep “Show Uncollected” ticked and add “Callweddi” to the search field to bring them all up. The wardrobe set is currently not dyeable on the PTS, but Dead Simon mentioned during last week’s livestream that it would be dyeable when it hits Live. As mentioned in the livestream, this outfit will be difficult to obtain and might require artifact sets and/or puzzles. The Nightmare Artifact Sets are up. 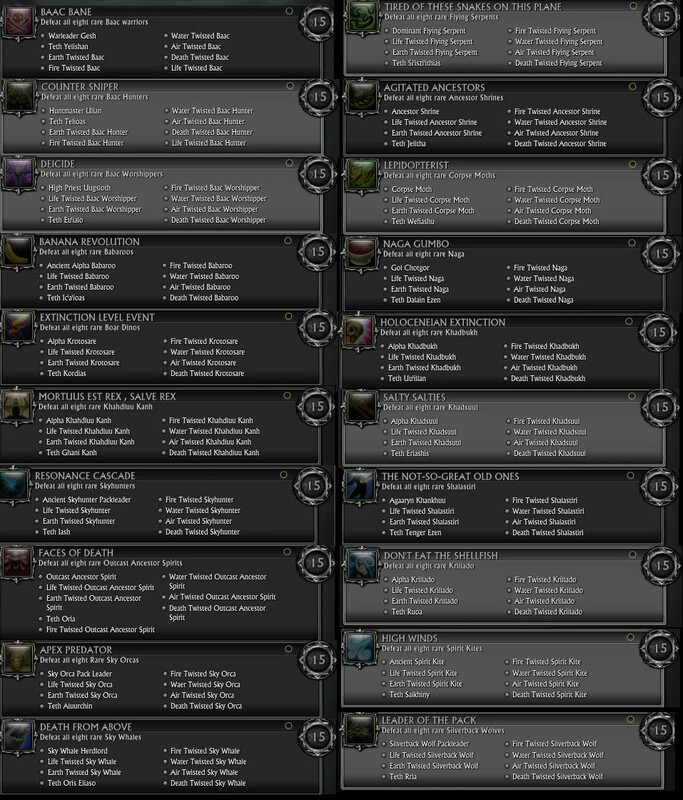 You can view a few of them by going to Character -> Artifacts and searching for “Nightmare:”. It is currently unknown how to obtain the Nightmare artifact sets. What we do know is that there are tracking vials that you can purchase from one of the Callweddi vendors for the three new types of artifact sets: Poison, Nightmare and Burning. Of the three, Burning artifacts have yet to appear in the Artifact list. A couple of achievement changes. Total achievements have dropped from 37,412 to 37,352 on the PTS. Fortress Defense zone events are not coming back. As such, achievements related to them have been moved to Legacy. Carnival of the Ascended zone event achievements have been moved from Zones to World Events -> Carnival of the Ascended. The Planetouched Wilds achievements have been updated. Rare mob achievements have had their text updated from the original placeholder and the Running Wild locales achievement has also been populated. All the major locations in the Planetouched Wilds have now been revealed. There’s quite a bit. As expected, different planar influences scatter throughout the zone. Teeth of the Earth is likely Earth-based. Windswept Buttes seems to be Air-based. Carver’s Deep is possibly Water-based. There’s a total of 25 locales and Callweddi won’t be easy to get to. Explorers rejoice! There’s quite a lot of rare mob achieves, and they’ve all been updated with their actual mob names. The most interesting part from all the achievements is that each one includes a different version of the mysterious being known as Teth. This brings the total number of Teth transformations to at least 26 (20 from achieves, 6 from the artifact set “Teth (65)”). If you include the “Nightmare: Nightmarish Forms of Teth” into that count, then he’s got at least 35 different forms! Looks like ole’ Teth has gone through quite a few reincarnations. A new ‘Lucky Fortune Bundle’ has popped up on the RIFT Store under Chests & Keys, Crafting and Dimensions. The bundle costs 850 Credits (765 for Patron) and contains an Oven of Good Fortune, Recipe: Lucky Fortune Biscuit, Sugar, Dough and Sea Salt. As the tooltip suggests, the bundle allows you to make Lucky Fortune Biscuits. What do they do? Currently unknown, but one speculation is that it might slightly improve your luck at getting rare items from lockboxes or perhaps crafting rifts. From the tooltip, it seems you’ll need Sugar, Dough and Sea Salt to craft a Lucky Fortune Biscuit. The “Oven of Good Fortune” might just be a static dimension item, although it could potentially also be required to craft the biscuits. Sugar is actually a new crafting good that isn’t present in the game yet. You can obtain the recipe for Sugar from the Survivalist Trainer on the PTS. It costs 2x Planar Cane to craft. This is also a new crafting good. You can also obtain Sugar directly from the RIFT Store -> Crafting -> Reagents for 25 Credits (22 for Patron). If you prefer to craft Sugar, the Planar Cane ingredient is available for purchase from the Reagents section for 10plat 50g each. That’s a total cost of 21plat per Sugar. Again, since we can’t preview, no clue what the Lucky Fortune Biscuits do yet. They could just be fluff like a transform item, or perhaps something to do with increasing luck on one of the rng-based pursuits (lockboxes, Stan’s Lure, maybe even Crafting Rift Imperishable drop rate). Currently there’s a maximum of 12 character slots per shard. As such, there’s 6 character slots available on both the left and right of the character select screen. The Wilds Pack expands the current maximum to 12 + 1 obtained from the pack. As such, there’s now 7 character slots on the left and 6 on the right of the character select screen. The change gives Trion room to add a 14th character slot in the future, although there hasn’t been any official information about a 14th slot. The Quest Log window (default key “l“) now has Collapse All and Expand All buttons. This should make it easier to find a specific quest by clicking Collapse All and expanding the zone/instance related to the quest you’re after. Looks like testing is starting on the Planetouched Wilds zone – or at least the Rhaza’de Canyon dungeon. During last week’s livestream, Trion mentioned exact testing dates would be made available this week. We’ll probably get that information during the PAX Prime Trion Party this Friday, so keep an eye out for that! Want to know more about what’s in the latest update? Check out the data files in the PTS Datamining: Planetouched Wilds Map article! Not sure if you noticed, but there is a zone named Khort. Had a bit of a laugh when I saw it.